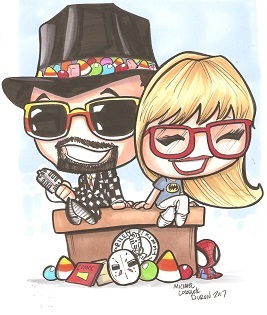 On this Podcast we talk about: Star Wars, Avengers, Movies, Top TV Shows, Upcoming Florida Comic Book Collectible Show. On this Podcast we talk about: Upcoming Florida Comic Book Collectible Show, Disney, movies, Star Wars, Han Solo, Aaron Paul, Sylvester Stallone, Jimmy Fallon, Tonight Show, Netlix, New Year’s Eve. Deathstroke To Join The Suicide Squad? Did Sylvester Stallone Just Spoil The Ending Of The Rocky Spinoff? Who’s on the Bubble in Oscar Best Picture Race? #Photo of our #onair #sign from the booth at one of our appearances this year. 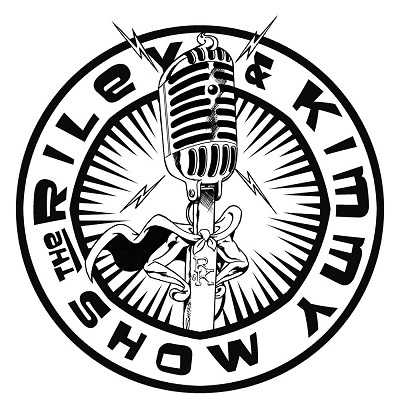 Visit our #website www.rileyandkimmy.com for details about our first appearance in 2015. #january 11th we have a booth at a #comicbook #toy #collectible Show in #deland #florida at the #volusia county #fairgrounds. Aaron Paul Playing Han Solo in Upcoming Star Wars Movie? Soaked Santa Riding A Personal Watercraft On The Halifax River in Daytona Beach. Arrow: Is Merlyn The Hero of the Second Half of Season Three? Ultimate Christmas songs quiz. How well do you know the words to 10 popular Christmas songs? One of my fur-kids...#krypto #dog relaxing in the #florida sunshine. As Box Office Sputters Toward Christmas, Can Ticket Sales Rebound? 5 Reasons Annie Is A Hard Knock Disappointment The sun will not be coming out tomorrow! Idris Elba As Next James Bond? Happy Birthday! Samuel L. Jackson Turns 66 Years Old!